All the recent talk about the ability of a Plaintiff to pursue a punitive damages claim in an auto accident case based upon a defendant driver's cell phone use has caused an older 2010 decision in this regard to surface. In his November 19, 2010 decision in the case of Kondash v. Latimer, No. 2009 - Civil - 8622 (C.P. Lacka. Co. Nov. 10, 2010 Thomson, S.J. ), visiting Senior Judge Harold A. Thomson, Jr. (former President Judge in Pike County) denied a tortfeasor defendant's Preliminary Objections to a Plaintiff's Complaint containing claims of "recklessness" and wanton conduct on the part of the defendant driver related to his handheld device. 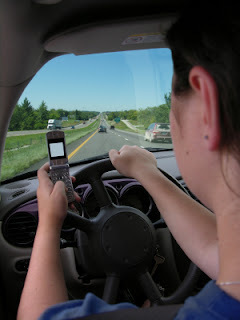 Judge Thomson noted in his Opinion that, at that time, there was no statutory or decisional law on the issue one way or the other other than several municipalities across the Commonwealth having passed local laws banning the use of cell phones while driving. The Court overruled the defendant's preliminary objections asserting that such allegations were impertinent, scandalous or insufficient in a factual or legal manner. In so ruling, Judge Thomson found that it was not free and clear from doubt whether such allegations were entirely irrelevant as asserted by the defense. For other, more recent decisions on this cell phone/punitive damages issue, click here. I send thanks to Attorney Jim Tressler of Tressler Law, LLC for forwarding the Kondash decision to my attention. Anyone desiring a copy of the Opinion and Order may contact me at dancummins@comcast.net.